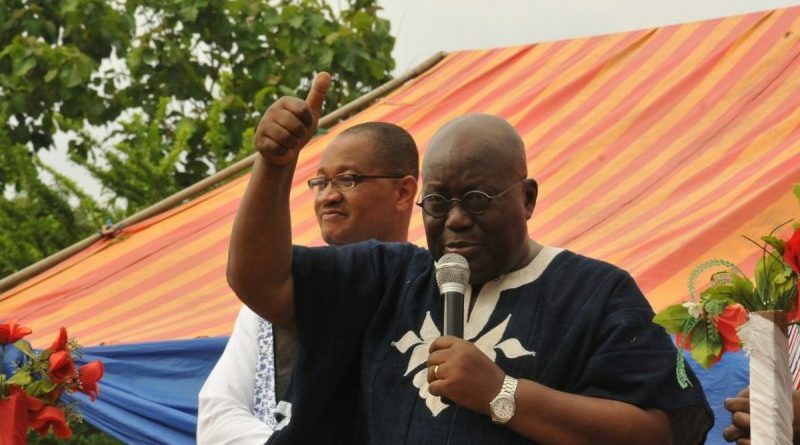 The 2016 presidential aspirant of the opposition New Patriotic Party (NPP), Nana Addo Dankwa Akufo-Addo, has charged Ghanaians to vote for President John Dramani Mahama if they are satisfied with the “current hardships” in the country but vote for him (Nana) for a positive change to alleviate their plight. 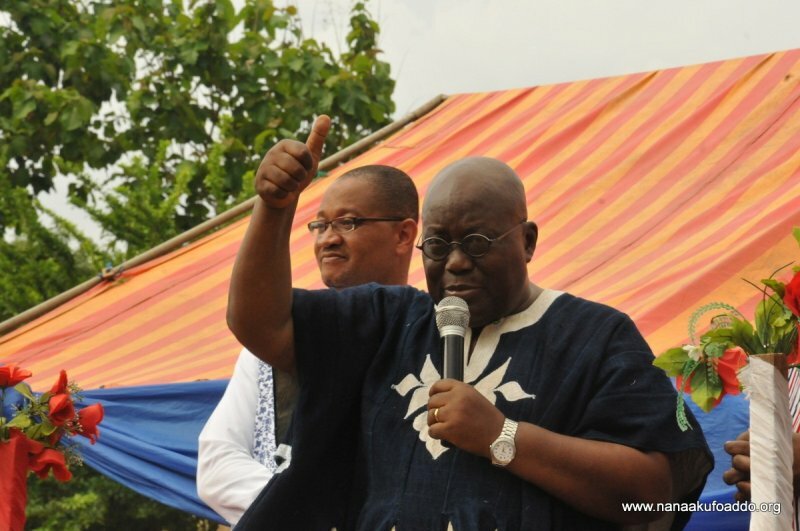 Nana Addo, who is making a third bid to become president, made the call Friday, May 13, 2016, during a campaign in the Ablekuma Central constituency, as part of a four-day tour of the Greater Accra Region. Nana Akufo-Addo made surprise visits to Gaskia Zongo and Abossey Okai, where he interacted with residents and business owners at the two stops. According to him, when President Kufuor was in office from 2001 to 2009, he served as Attorney General and Minister for Justice for two years, and could say with confidence that such a policy was never initiated within the eight-year period. “What they (NDC) are saying is just to put fear in you so you do not vote for the NPP. I was the lawyer who handled the land case for Lawan Bako and other leaders of Sabon Zongo. I won the case for them in court and got them their land. How then can I be the one to come and sack you and others who are living in Sabon Zongo?” he asked. At Abossey Okai, also in the Ablekuma Central constituency, Nana Akufo-Addo assured spare parts dealers as well as Ghanaian entrepreneurs and small business owners, that his government would provide a conducive and enabling environment needed for their businesses to flourish. With the major concerns of business owners at Abossey Okai being the unstable nature of Ghana’s currency, high interest rate charges from banks, as well as high import duties at the ports, they told the NPP flagbearer that these issues posed serious challenges to the survival of their businesses. The flagbearer was accompanied by the party’s parliamentary aspirant for the constituency, Ebenezer Nartey; Policy Advisor Boakye Agyarko; Laud Commey of the Office of the Flagbearer; Alfred Boye, acting NPP Greater Accra Regional chairman; Adjei Sowah, NPP Greater Accra Regional Secretary; Campaign Aides, Musah Iddrisu Superior and Fatimatu Abubakar, amongst others.